Checking out some of the innumerable twitter third party apps with an eye to the use of twitter in marketing and branding. If the social media marketers have it right, twitter ought to be an ideal social marketing tool. 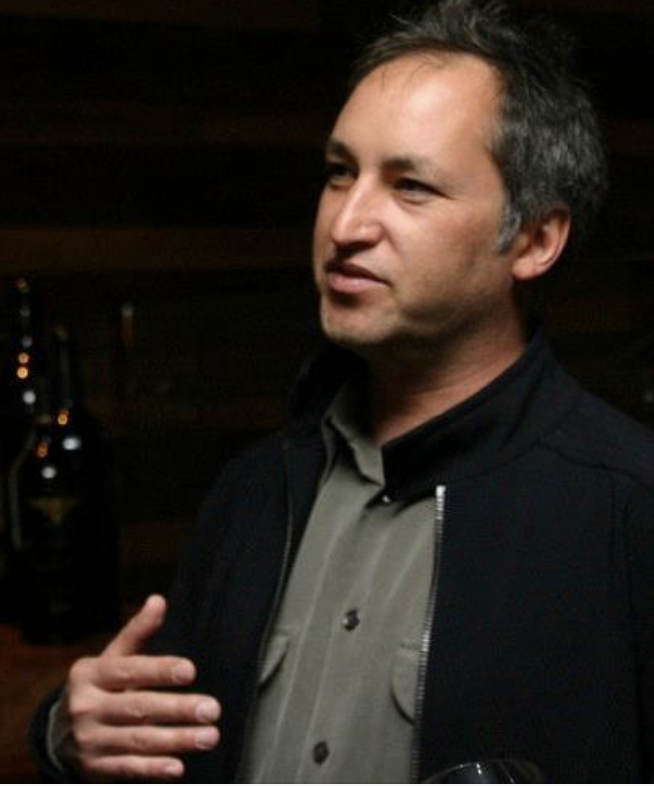 It’s a street-level conversation tool, it’s authentic and is used (still) by users for users. Unpolluted so far by commercial messaging, it ought to offer the promise of direct engagement with consumer audiences. I’m still unsure of how close marketers can get to everyday talk without the serious risk of losing face and credibility. My gut tells me that there’s a cultural wall (to wit, Beacon’s Faceplant?) or threshold beyond which marketers and advertisers hoping to feed on the Feed risk losing face for their overzealousness. Branding and marketing campaigns want to preserve some control over their message — that’s only natural. Facebook members want to determine their appearance, too. But the awe inspired in marketing departments at the occasional viral success story still shines, like a beacon of hope, and the grail they seek is none other than the same enlightened redemption any good capitalist dreams of when the light strikes just right. Can one quest for the grail if it means heralding the masses towards a destination already known? Or is the grail a serendipitous discovery that awaits only those leaders willing to be swept up in the giddy abandon of a gathering mob? Is the allegory I’m reaching for Monty Python or Full Monty? The marketer who leads his people to the grail risks being discovered as the Emperor with no clothes. The marketer who is misled by his people, too, may wind up disrobed before his audience. If the consumer who feels she can trust a brand as she trusts the naked truth, that is, she’s in conversation with a brand and the brand is in conversation with her, then there would be truth in advertising. And that would be a leap (of faith?!). It strikes me that social media marketing and advertising want to be in “the flow,” but from what I have seen of the social media release so far, participation in social media is not yet truly conversational. 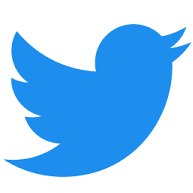 Twitter would be used for social media releases, for PR, in other words for a form of public “direct” messaging. In the hopes that it is picked up womm-style and passed around at street level. 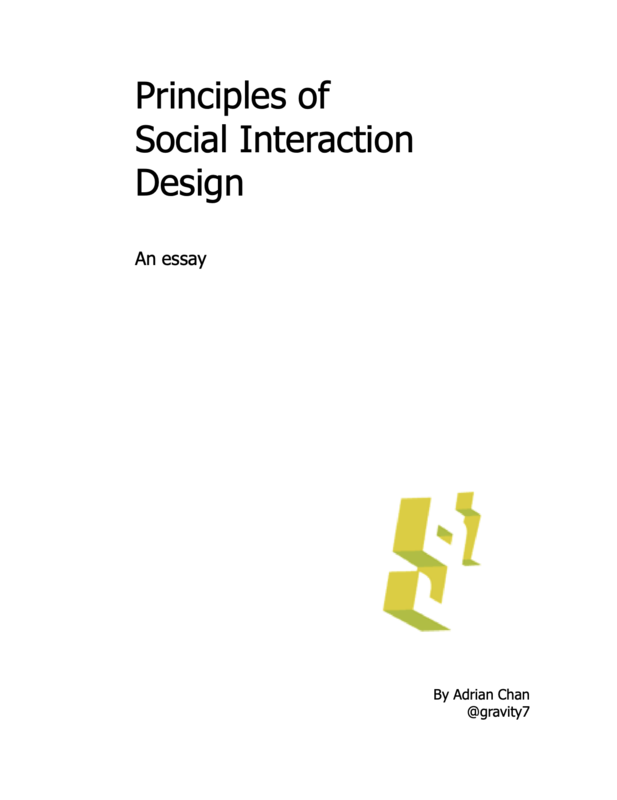 But twitter and other talk tools are conversational, and there might be fundamental constraints on how easily a non-conversational participant (brand) achieves success if it remains only the author of its messages. Sure, twitter is a faster flow, but it’s also a slow chat. And conversations cannot be controlled. 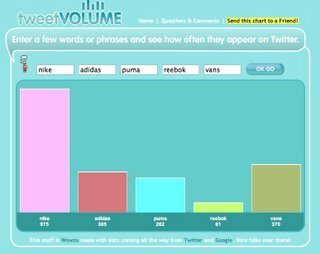 As you can see from the results on TweetVolume comparing Nike, Reebok, Adidas, and Puma, Nike is the clear winner. A quick comparison of posts on Summize mentioning Nike, Reebok, or Adidas, however, shows more negative twitter commentary on Nike about its labor practices, more earnest complimentary tweets about Reebok, and more fan tweets about Adidas. What would the social media marketer to get an accurate view of buzz on twitter for his or her brand? At this point, read and click. Sentiment analysis would be tough on twitter because the messages are so short. Conversations would be hard to find because messages and replies are loosely coupled at best, and the density of coupled statements-responses (which would indicate conversational durability) is extremely low on twitter. One could find influencers using current metrics, but to date influencers are measured by activity more than by content or domain expertise — so finding a mover and shaker in sneakers would require head-banging queries at a minimum. Anecdotal signs of throughput and pickup for social media marketers, however, could be gleaned from twitter and used to supplement other forms of audience survey, polls, and online market research. It strikes me, again, that the market for good social analytical tools would be huge. That is, if social media marketing doesn’t mind a wee bit of truth.